What’s with most of these Korean dramas? Why are women always shown to be gullible, helpless, and clumsy beyond belief? And how come guys fall for such imbecile women so easily? Are Korean women really like that? Do Korean men really prefer such women? I don’t think so. (Look up any Korean actor’s interview stating his ideal partner. Almost every actor has listed beauty and intelligence as the must-have quality in their spouse. K-drama!?!?! Why give innocent young girls such false hopes?) I know it for a fact that stories where a rich and extremely good-looking guy falls for the docile and unattractive girl always appeals to the masses be it in Korea or India or even America. This is a sure shot way of drawing the audience (mostly young girls) in. Personal Taste is a tale of a young eccentric woman battling the big mean world all by herself only to find herself falling in love with someone she thinks she can never have. The show isn’t full of mushy dialogues and scenes where the two lovers promise their life for each other. Instead, it is more about showing your love through actions and accepting the other the way they are. The show deals with backstories of the central characters that explains their current struggles in life and insecurities. Korean rom-com, ‘Personal Taste’ (aka Personal Preference) is a 16 episode long show based on a novel written by Lee Se In under the same name. It is the love story of a furniture designer named Park Kae In (played by Son Ye Jin) and an architect Jeon Jin Ho (played by Lee Min Ho). Kae In is an unsuccessful furniture designer who is in love with her boyfriend Han Chang Ryul (played by Kim Ji Seok) and wishes to marry him someday. He, however, doesn’t consider her as his girlfriend and dumps her a day before his marriage to Kae In’s best friend and housemate Kim In Hee (played by Wang Ji-Hye). Boyfriend Chang Ryul and best friend In Hee’s betrayal leaves Kae In shattered and depressed. Jin Ho is an architect and runs his own firm with two of his friends. He is Chang Ryul’s rival and has been working towards bagging a massive architectural project. He finds out that the director of the project considers Sanggojae (a house designed by a famous architect) as the most beautiful house design. Jin Ho decides to incorporate Sanggojae’s design in his proposal to impress the director and win the project. On arriving at Sanggojae he finds out that Chang Ryul’s ex-girlfriend whom he had dumped for another girl is the daughter of the famous architect and owns the house. Due to some misunderstanding, she mistakes him to be gay and agrees to rent a room to him. Since he wants to live in Sanggojae to study its design he does not correct her views on his sexuality. Considering him to be gay she feels very comfortable in his presence and treats him like any of her other girlfriend of hers and shares her feelings with him. 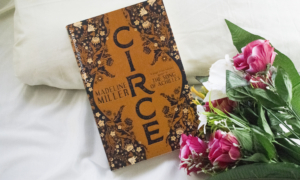 He is initially repulsed by her lack of hygiene and naivety but her innocence gradually gets to him and he falls for her. Does she fall for him? Yes. How do they get together? Well, that is what the show is about. Should I watch it? Well, that is what this review is about. Read on. Let’s weigh Personal Taste on our show beam balance and see if the show leaves a good taste or no. 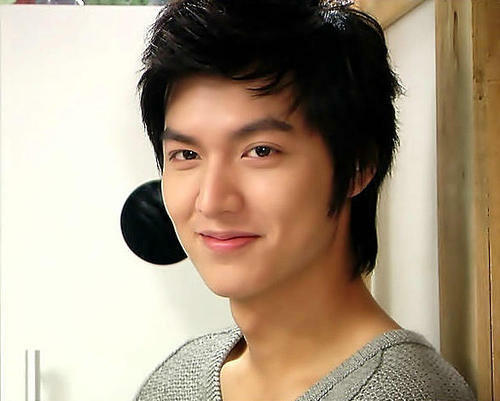 Performance: Lee Min Ho totally rocks it as Jeon Jin Ho. His portrayal of the neat freak, no-nonsense Jin Ho is totally convincing. Before you guess it, I’ll admit it myself. 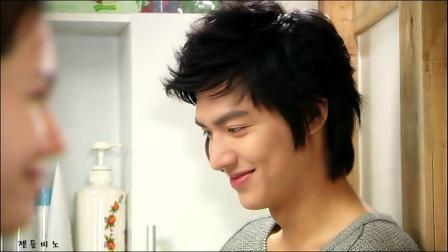 I am a fan of Min Ho. He looks amazing and acts even better. I love the fact that he changes his hairstyle in every show. And that is how I tell his shows apart. I have watched a few shows of his and he looks the best in this one. The spiky hairdo, where you can see his forehead (yeah I have a thing for his forehead :P), suits him the best. ((Fangirl gushing alert)) While watching the show, I used to feel so enchanted by him that I would have to re-watch a scene only because I would forget to read the subtitle. I would be gazing at Min Ho the whole time. Son Ye Jin was also good as Park Kae In. Ye Jin was funny, sloppy, and extremely pitiable everything that defines Kae In. Camaraderie: The one element I really appreciated in the show was the camaraderie shared by the lead characters with their respective friends. Kae In is royally stabbed in the back by one of her closest friends, Kim In Hee who also lived with her for ten years (Yep! despite that, stupid Kae In never suspected her friend of having an affair with her boyfriend behind her back. I know it’s surprising). But her other friend, Lee Young Sun cares for her like a mother. She is married and has her own problems to deal with but still helps Kae In in her difficult times and protects her from people who only want to take advantage of the good-natured Kae In. Similarly, Jin Ho’s friend Noh Sang Jun supports Jin Ho and stands by him even during the most testing times. He goes to the extent of pretending to be gay just for the sake of Jin Ho (and of course to get the big contract). There are bad friends who ruin the meaning of friendship but there are also good friends who set an example of selflessness and kinship. Lee Young Sun and Noh Sang Jun show us what friendship is really about. Him running to the departmental store to purchase sanitary napkins for her. Him going to his mother in the middle of the night to get a painkiller for the menstrual cramp that she is suffering from. Him massaging (and singing) her tummy to relieve her cramps. Her making food for him. Him training her to walk and behave like a lady. Him buying her a scented bubble bath to make her happy. Him drying her hair with a dryer. Helpless Heroine: The major problem I have with the story of this show is Kae In’s lack of self-esteem and idiotic nobility. Her boyfriend dumps her to marry her friend and yet she agrees to meet him and help him when he needs her. A business mate of hers tries to molest her, mortgages her house without her knowledge yet she decides to repay the debt he owes the bank. Why? I told you already she is idiotically noble! I thought Ji Eun from ‘Full House‘ was the most dim-witted female character in a Korean drama but Kae In just took the degree of stupidity to a whole new level. Dragging Storyline: Min Ho and Ye Jin are fabulous actors. The director could have done so much more with these two powerhouses of talent. Sadly, the storyline could not do justice to their talent. The show seemed to be dragging after a point so much so that even their impeccable acting cannot keep you from feeling bored. I had to fast forward some episodes only because they were too bland. The show beam balance has more good weights than bad weights which means, that it is definitely worth a try. It may not be a show that you will remember long after it is over. But it surely is a show you will enjoy watching.